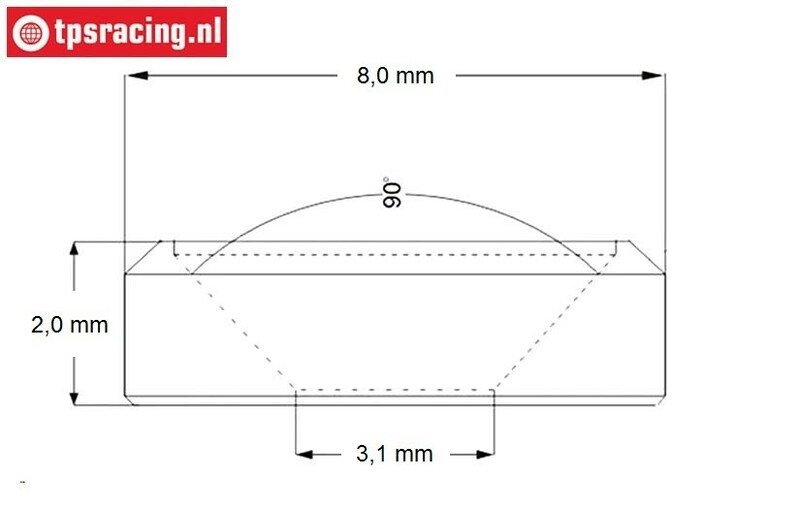 TPS1233/01 Countersunk ring Ø3 mm Red, 10 pcs. Made of 6061ST aluminum, available in 4 colors; Red, Black, Silver and Orange. 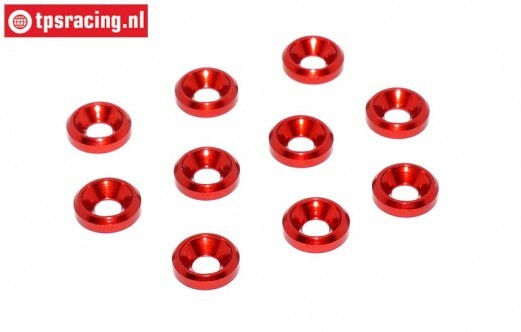 TPS1223/01 Aluminum lock nut M3 Red, 10 pcs. TPS1223/02 Aluminum lock nut M3 Black, 10 pcs. TPS1223/04 Aluminum lock nut M3 Orange, 10 pcs. TPS1223/03 Aluminum lock nut M3 Silver, 10 pcs. TPS1224/01 Aluminum lock nut with flange M4 Red, 10 pcs. TPS1224/02 Aluminum lock nut with flange M4 Black, 10 pcs. TPS1224/03 Aluminum lock nut M4 Silver, 10 pcs. TPS1224/04 Aluminum lock nut M4 Orange, 10 pcs. TPS1225/01 Aluminum lock nut M5 Red, 10 pcs. TPS1225/02 Aluminum lock nut M5 Black, 10 pcs. TPS1225/03 Aluminum lock nut M5 Silver, 10 pcs. TPS1225/0 Aluminum lock nut M5 Orange, 10 pcs.